We are run by a team of enthusiastic volunteers and we are always happy to have new volunteers join us. We come from a variety of backgrounds and during the week we hold down regular jobs. A ‘horsey’ background is not necessary (but very useful!) 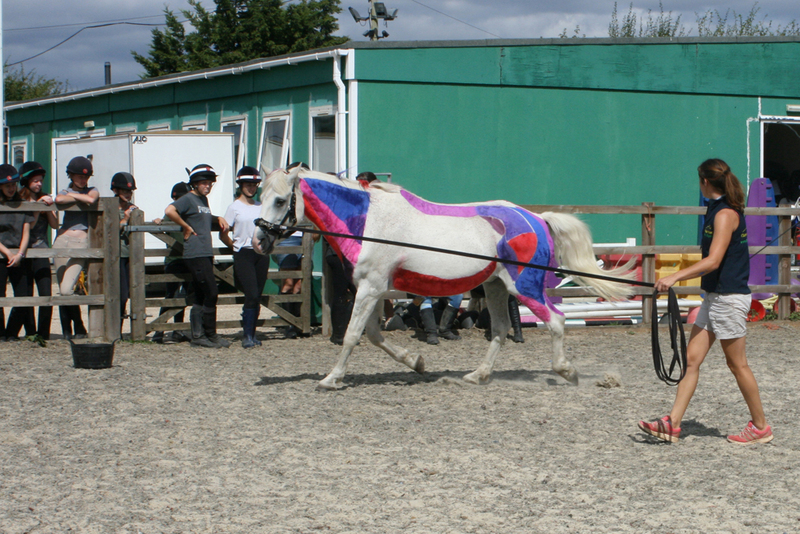 – you need to have an interest in horses and the ability to interact with children. You would not be thrown in at the deep end – we would pair you up with an experienced adult initially until you get to know the horses and children. The younger children are taught the practical skills by the older ones. The children do the catching, grooming, tacking up, mucking out etc. Our role is to keep an eye on things and provide help or guidance when needed, but we’re not there to look after the horses or get heavily involved in yard duties. 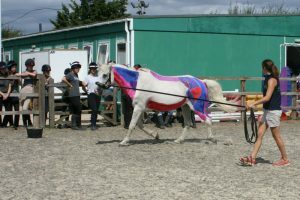 The adults take the riding lessons and teach theory, for which we have printed sheets with quizzes and information to go through with the children each week so you do not have to have a vast equine knowledge to be a useful member of the team. If you are interested in volunteering with us, please e-mail us with any questions (karen@themeades.eu) or simply pop in any day over a weekend between 9am and 4pm and we will be delighted to show you around our yard and show you the activities you could get involved in (directions on the Contact us page). Coming to have a look around does not commit you to volunteering with us!